Customized modular home design, installation and construction throughout Connecticut. Our environmentally friendly, high quality modular homes are affordable, quick to construct and come in a wide variety of designs and styles. Make it your own. We specialize in customized modular homes: from trim to hardware, cabinetry and beyond –everything is tailored to the customer’s preferences. We’ve partnered with Muncy Homes to bring customers a vast choice of top quality floor plan designs and layouts to be used as the base plan for your new home. Moreover, it’s where the family grows, where you spend most of your time – where life happens. Let us provide you with our outstanding services. We specialize in customized modular home design and construction that is energy efficient, affordable, quick to construct, catered to your preferences, and you can feel secure with our 10-year warranty. What sets DBI Development apart? Customization. The home begins as modular, and ends as uniquely your own. Our level of customization is unbeatable – from the trim, to the cabinetry, hardware and beyond. We’ve partnered with Muncy Homes to offer customers a wide variety of floor plans to use as a base. From there, the sky’s the limit. 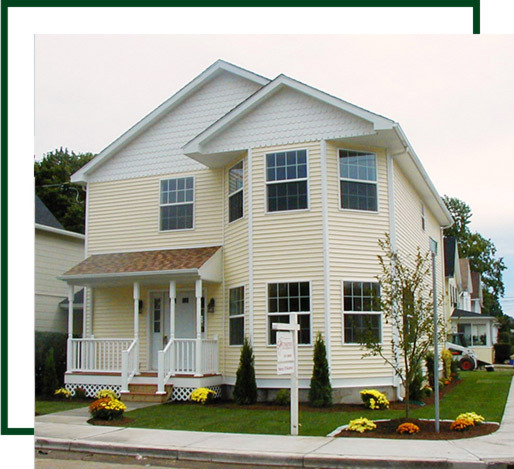 Customized modular homes throughout Connecticut. The benefits of factory fabrication with the potential for total personalization. Complete professional modular home customization services in Connecticut.